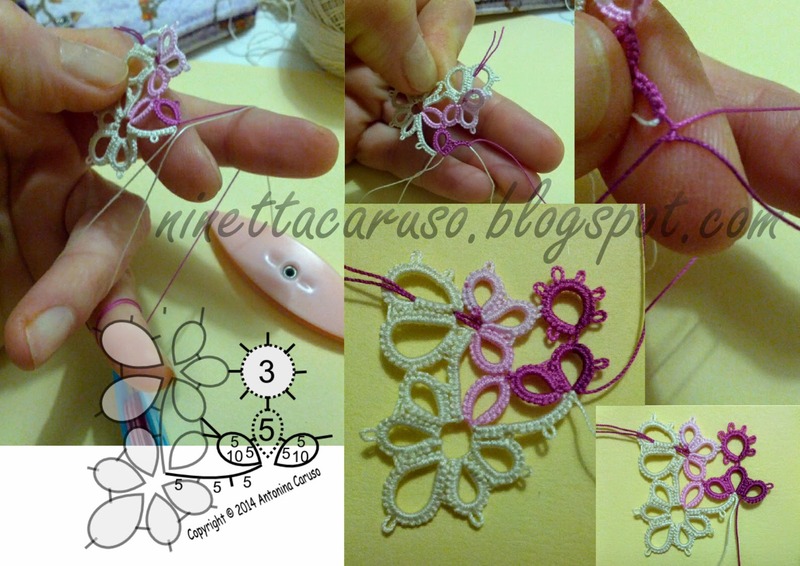 I've prepared a photo tutorial of "quad_13", the same square pattern that I followed tatting the bookmark in january. This time I've used two shuttles wound with size 40 thread in two colours, DMC ecrú and Lizbeth col.157. but I haven't had any feedback and there's an error, too. Sorry! 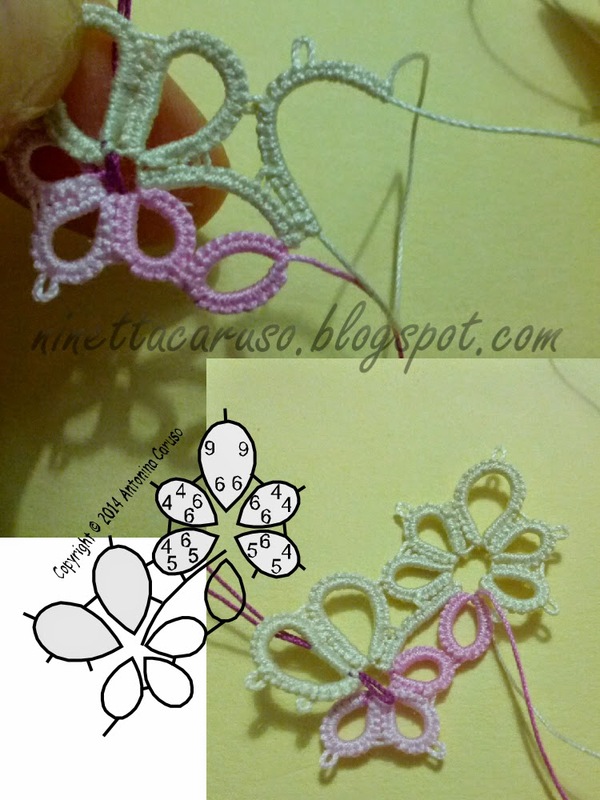 I like it a lot, so I thought to share with you some photos, while I was tatting it. 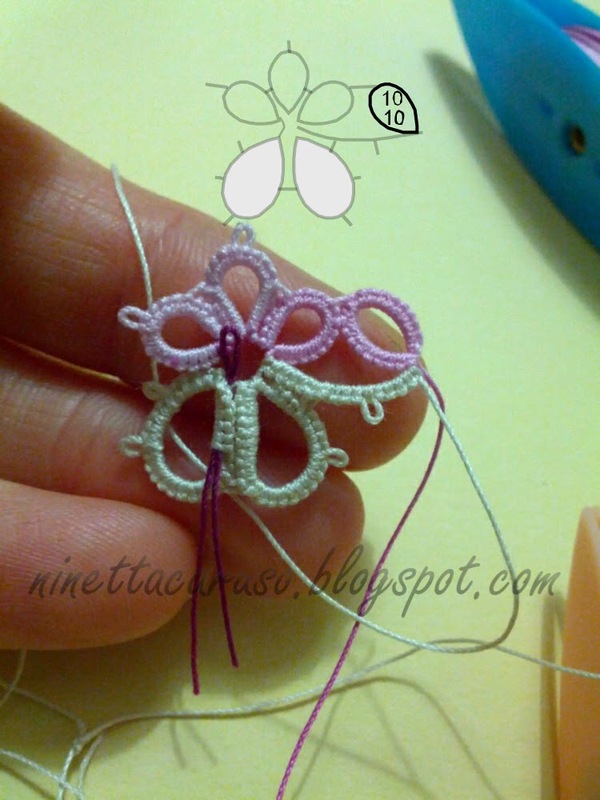 I start with two "detached" motifs, then I connect them in the very first chain. 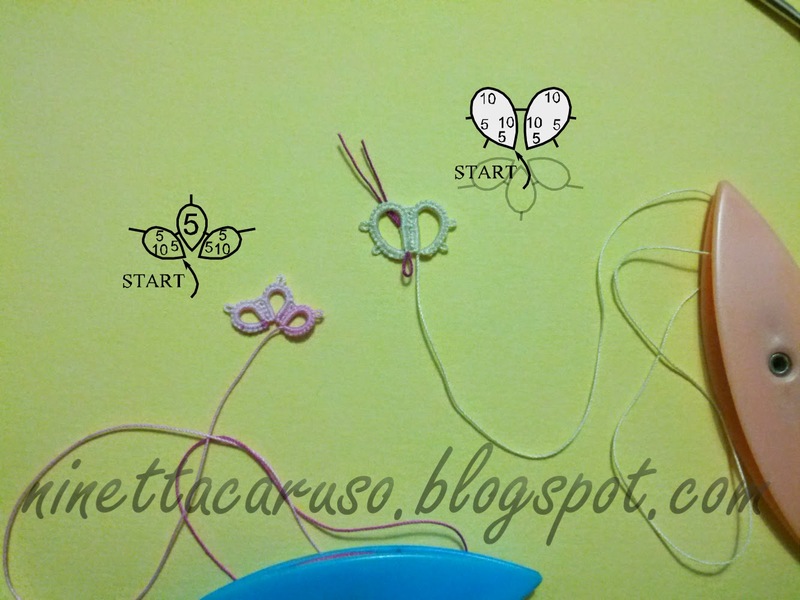 I also prepare a little loop for the magic thread trick to be used at the end of the square. I leave a little bare of thread when I start the central ring, that will be a mock picot there. I should stop now but the tutorial isn't finished yet and I'll continue it in the next post. 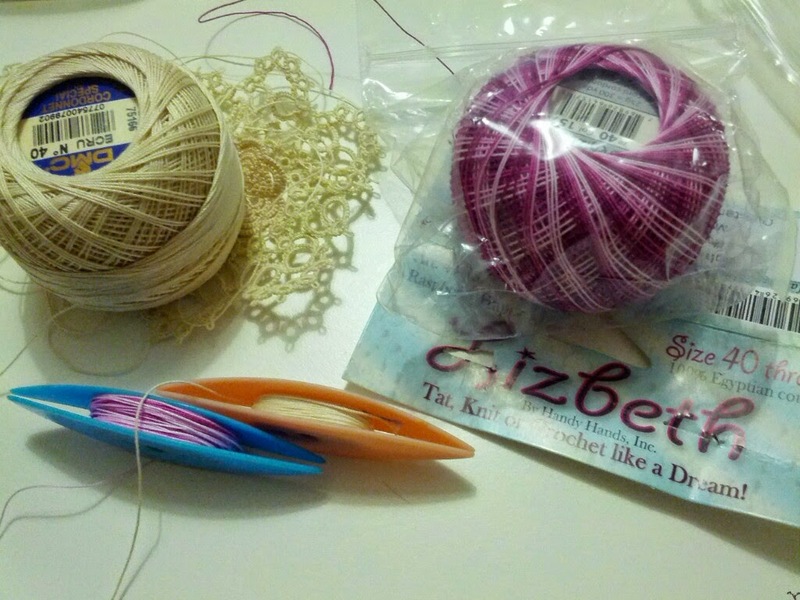 Thanks for sharing the pattern & process, Ninetta ! 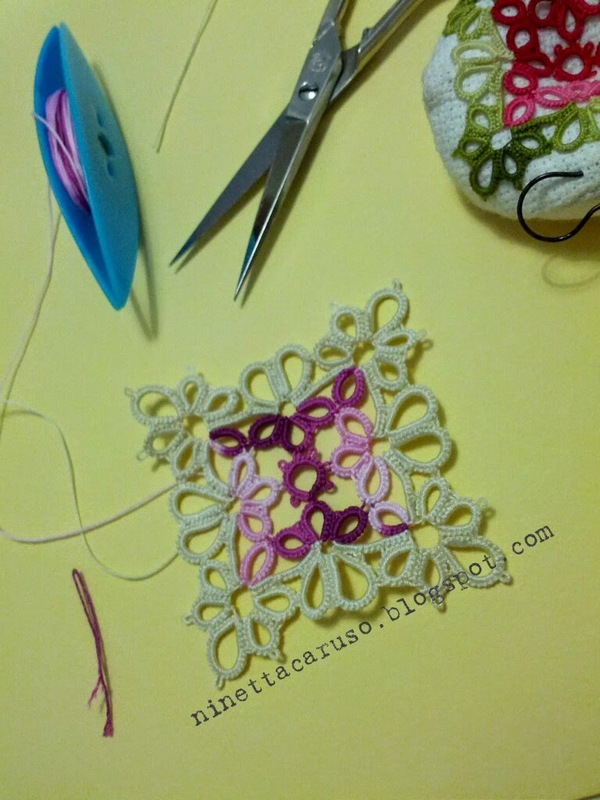 It is a beautiful quad :-) Would make a nice coaster in larger thread ! 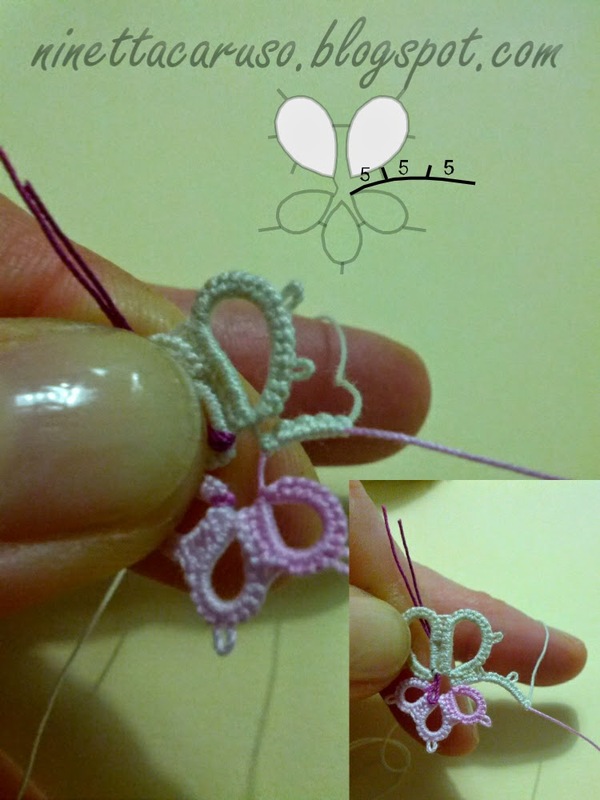 In the bookmark I started with a line of split rings and climbed with a sr to the outer 5-5-5-5 ring, then there's a repetition of the side - 2 rings plus the trefoil - for all the lenght. With a thicker thread it could be a scarf! Now you're pulling my leg, N ! How thick a thread do you have in mind, for it to be a scarf , lol :-) Nevertheless, it is a good idea.... Wouldn't mind a headband or bandana either ! Very Nice Ninetta! 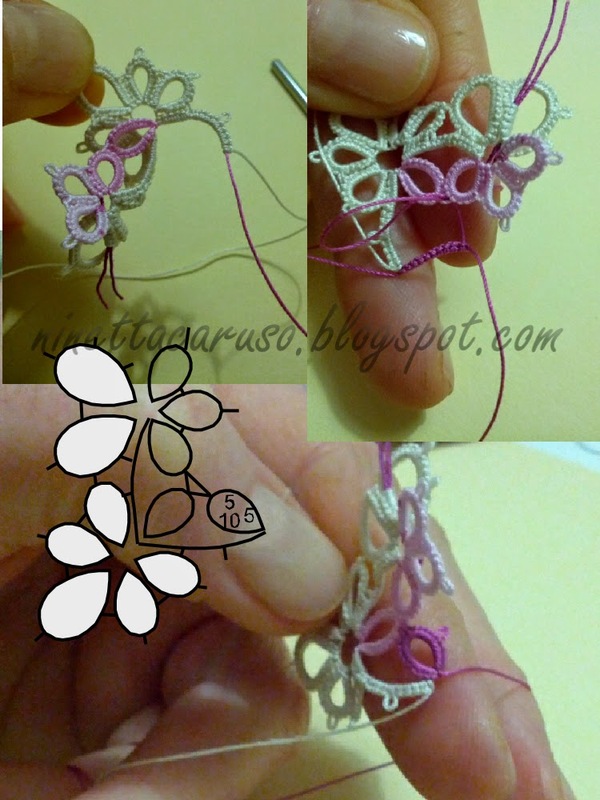 love your work and wanted a pattern of this thanks, it is a lovely demo! Such a lovely design! 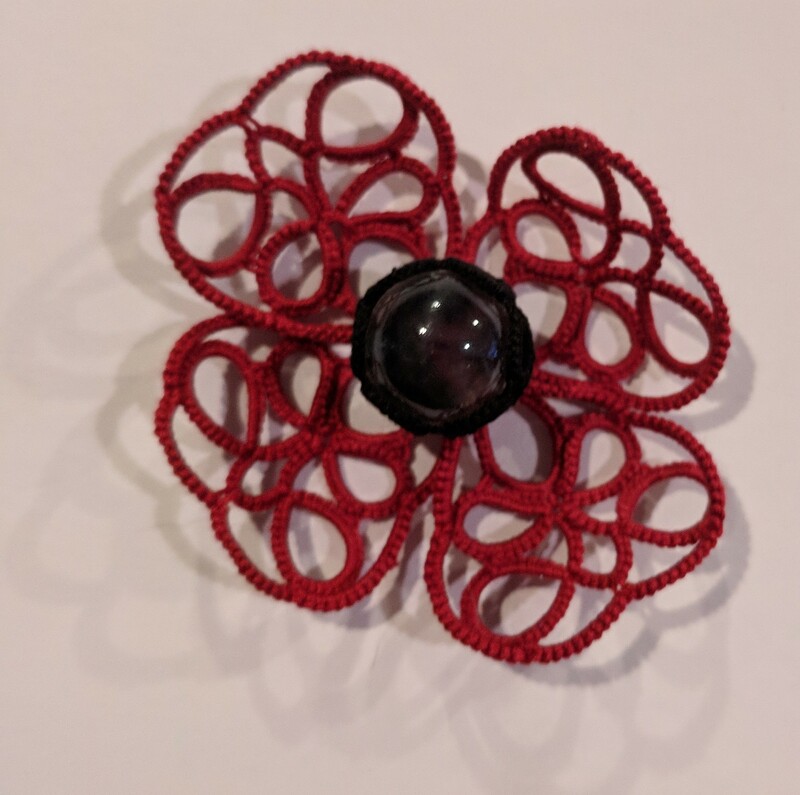 Thank you so much for sharing the pattern !